A Monash Master of Public Health (MPH) equips you with the knowledge and practical skills in research, analysis and communication that are absolutely vital to solve global health challenges. If you want to work in biotechnology, pharma, clinical medicine or healthcare, medical research or product development, our MPH will help you excel and progress. You can tailor your Monash BMS degree towards public health, which allows us to give you credit towards a Masters degree. By choosing BMS elective units highlighted in this course map, you set yourself up for an accelerated 72-point MPH entry pathway that reduces your study time to 1.5 years full time. That’s six months less than standard entry. Our MPH is taught through Public Health and Preventive Medicine, co-located with The Alfred Hospital near the heart of Melbourne. Along with the Baker Institute and the Burnet Institute, we form the Alfred Medical Research and Education Precinct (AMREP), Victoria’s premier hub of public health research and education. Many of our lecturers hold clinical positions at The Alfred and as a student you’ll benefit from their real-world knowledge and examples. They’ll show you how to identify public health and preventive medicine priorities; design and test solutions; critically assess research; understand and influence health policies; evaluate program effectiveness and efficiency; predict health trends; share complex knowledge with the public, and drive equity in healthcare, here and overseas. 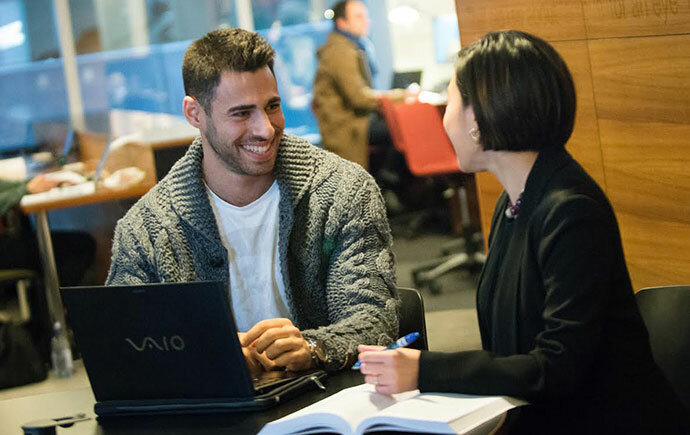 Our graduates are highly employable, and our AMREP neighbours provide students with outstanding networking opportunities with potential employers and research collaborators.